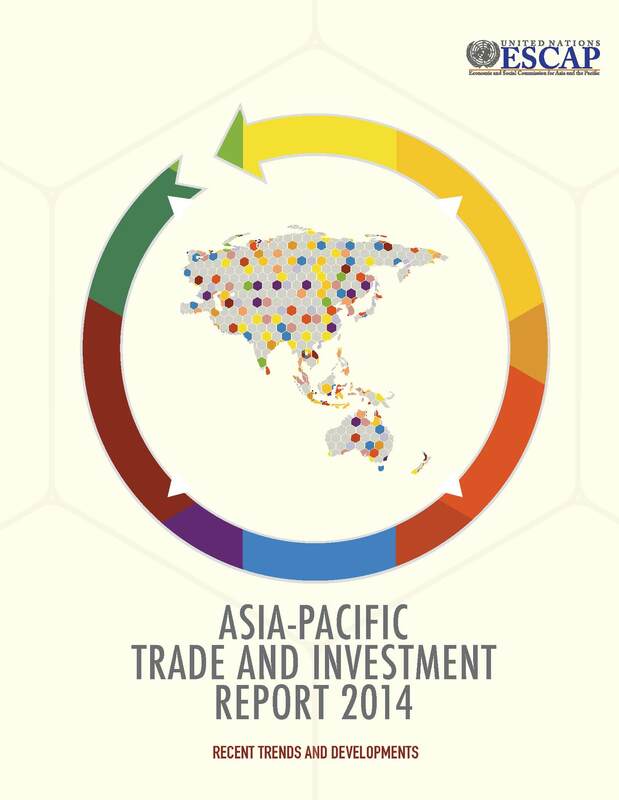 This 2014 edition of APTIR shows that, while the Asia-Pacific region remains the most dynamic pole of the global economy, growth in trade and investment has yet to return to pre-crisis levels. Regional trade growth weakened in 2013, and in the first half of 2014, and although growth in 2015 is expected to increase to 7%, ongoing uncertainties in global macroeconomic prospects mean this is far from assured. A key finding of the Report however, is that concentrations of exports and imports remain uneven across the region. East and North-East Asia alone accounted for about 60% of both total regional merchandise exports and imports in 2013. In a similar vein, 65% of all services exports from the Asia-Pacific region are attributable to just six economies. This implies that large gaps remain between countries in terms of their trade competitiveness and level of diversification, and that great potential remains still untapped, especially in the services sectors of many countries. The availability of competitive business and trade services, which support industrial exports, is also increasingly essential. Policymakers should take steps to lower barriers to trade. Progress in multilateral negotiations, including effective and speedy implementation of the WTO Trade Facilitation Agreement, would help. Regional trade liberalization agreements can also boost trade and integration, especially if many of the existing agreements can be consolidated. Completion of the Trans-Pacific Partnership and the Regional Comprehensive Economic Partnership as open-ended agreements, for example, could lead to the cancelling or consolidation of as many as 54 separate preferential trade agreements, and vastly simplify the Asia-Pacific “noodle-bowl” problem, while also addressing investment and other barriers to trade. The Report is aimed at policymakers as well as practitioners and experts, academia, business, international agencies and non-governmental organizations working or interested in these issues in the Asia-Pacific region. It comes with separate country and subregional briefs available below.